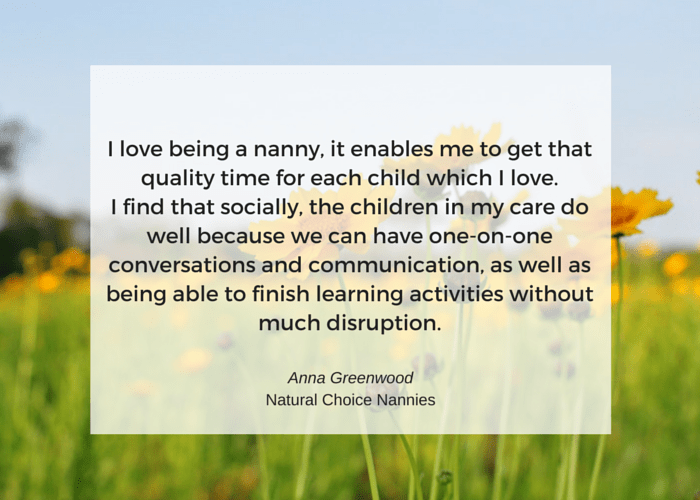 Today we’re chatting with Anna Greenwood of Natural Choice Nannies for the nanny spotlight. 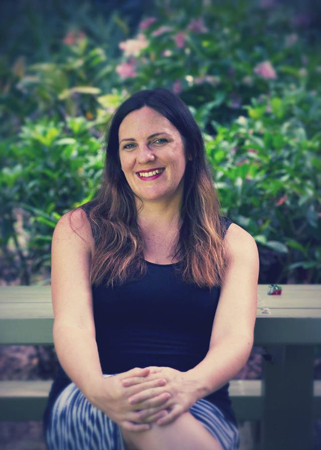 Based in Cairns, Australia, Anna’s nanny agency is established with the family’s best interests in mind. Incorporated within the business structure, Anna implements learning strategies to assist nannies, children, and families to achieve the best possible childcare solution for the individual requirements. 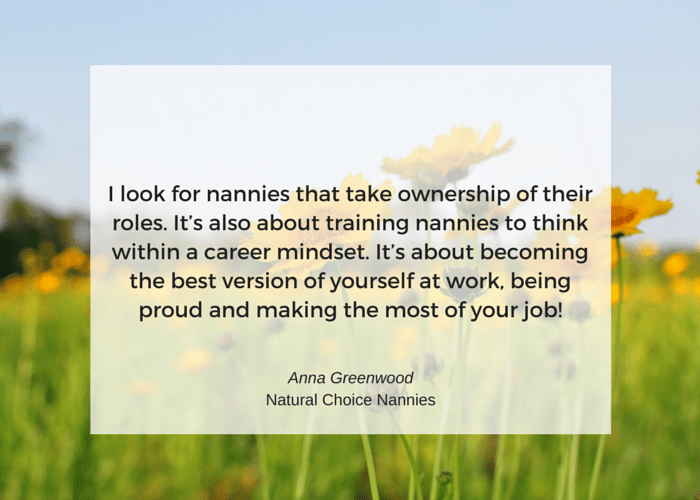 A professional career nanny herself, Anna chats about her experience in childcare services and shares top tips for the career minded nanny looking to really raise the bar. I want to provide an ongoing supportive network for nannies and families to rely on for professional services. 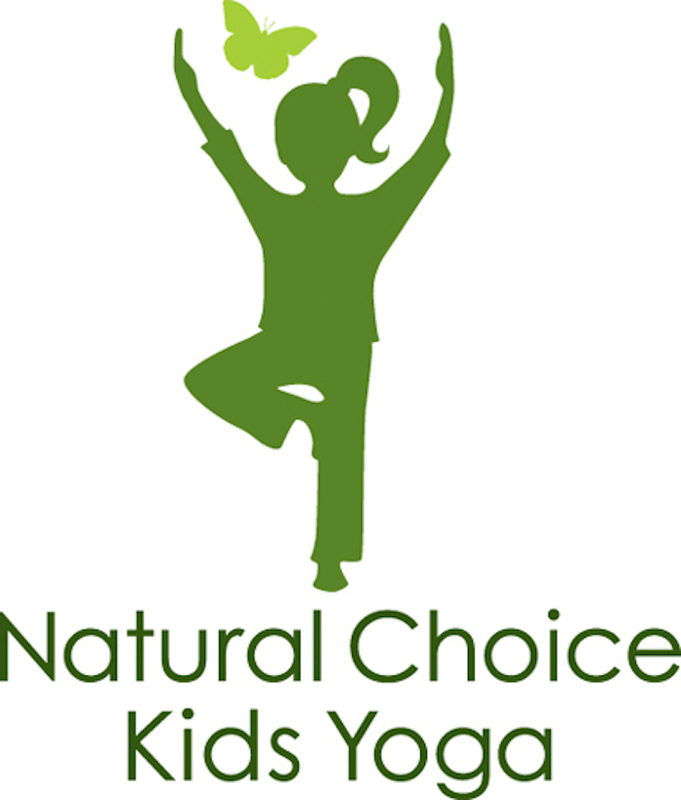 I want to include more activities such as Natural Choice Kids Club and Natural choice kids yoga to help children nurture their well-being at home. My aim is to inform the public about how learning in the home environment with a professional nanny is a benefit for working families. Our aim is to apply a Learn, Play and Grow philosophy where possible. 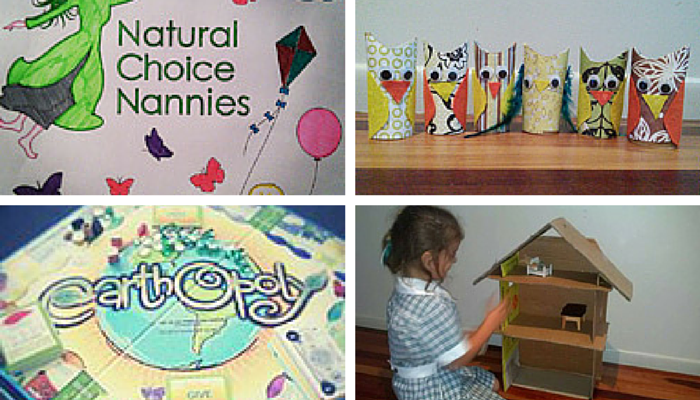 We do this by delivering innovative, and environmentally minded child care activities. 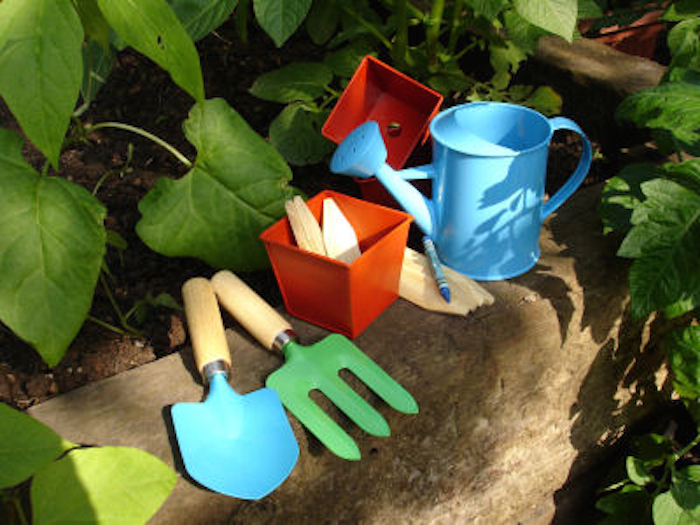 These activities are aimed at helping children stay happy, while they learn through play about how to care for their environment. I am committed to providing quality candidate screening and ethical practices, in referral of candidates to families. We have also adopted the Standards for In Home Care from the Department of Education and Training to ensure we provide quality home based care that is of a national standard. And you have a background in children’s services and childcare? I studied my certificate III in children’s services at Lifetime International College on the Gold Coast. I also have a certificate III in micro business management. I have been working in childcare centres since 2010. Before that I worked in visual merchandising and retail management. I also travelled to England for five years in my early twenties and I’ve now resided in Cairns since 2011. I originally began working as a casual nanny, making it my full-time career in 2013. You were a group leader in preschool before becoming a nanny? What was that experience like compared with nannying and doing more one-on-one work? It was a very demanding position, but I really enjoyed working with the children. It was a very lively and active room as you can imagine with 24 children each day. I had a great assistant and together we made it work. It was quite challenging that I couldn’t spend quality time with each child throughout the day, but the style was more of a constant group input. For me personally I love being a nanny as it has enabled me to get that quality time for each child which I love. I also find that socially the children in my care do well because we can have one on one conversations and communication, as well as being able to finish learning activities without much disruption. I started the agency in 2013 when I was lucky enough to receive some business mentoring. I began to research more about the industry from an agency perspective, although I felt a bit lost to begin with due to the nature of being at present an unregulated industry. 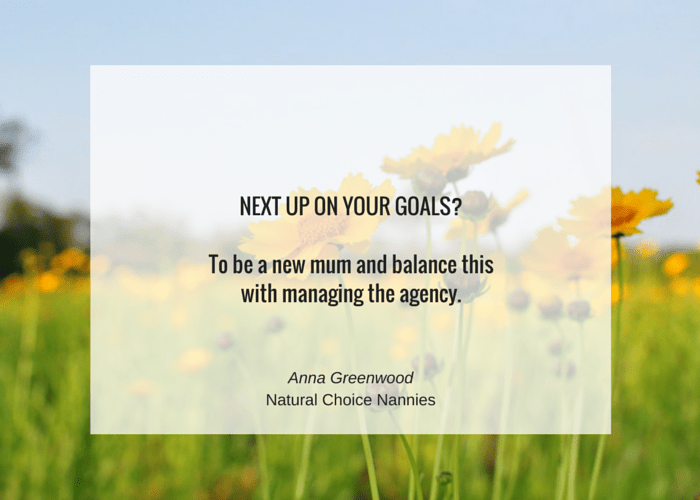 Joining the Australian Nanny Association provided the grounding I needed to ensure my agency was meeting industry best practice. During my research I was interested to learn that my main market was in fact not predominately wealthy families who could “afford high nanny costs”, but actually shift working families who needed non-traditional childcare arrangements. To meet these demands, we began to offer location-based nannies, before and after school care and nanny share, an innovative and financially sustainable solution for working families, where we ‘match make’ families to share the cost of childcare. Do you feel that your career as a nanny allows you to run your agency more seamlessly, identifying with both the nannies and the families? It is a busy schedule for me, working as a nanny and also developing the business. I know the role of the nanny very well and have been through many different situations and learning environments, so I do feel that I can give the best professional advice possible. In my area, my competitors predominantly cater to the holiday market whereas my clients tend to be local residents. I aim to fit the gap where the childcare system fails to do so, ensuring I stay informed of the current trends within the nanny sector. I like to communicate with my clients and nannies about any changes or information within the industry. The challenges you’ve faced during your career and business setup? As a nanny – the most important challenge is finding the balance between keeping children, parents and myself happy, varying learning activities and ideas while also ensuring I provide a good standard of care. As an Agency – it’s about finding the right nanny to fit the right family. I look for nannies that take ownership of their roles. It’s also about training nannies to think within a career mindset. 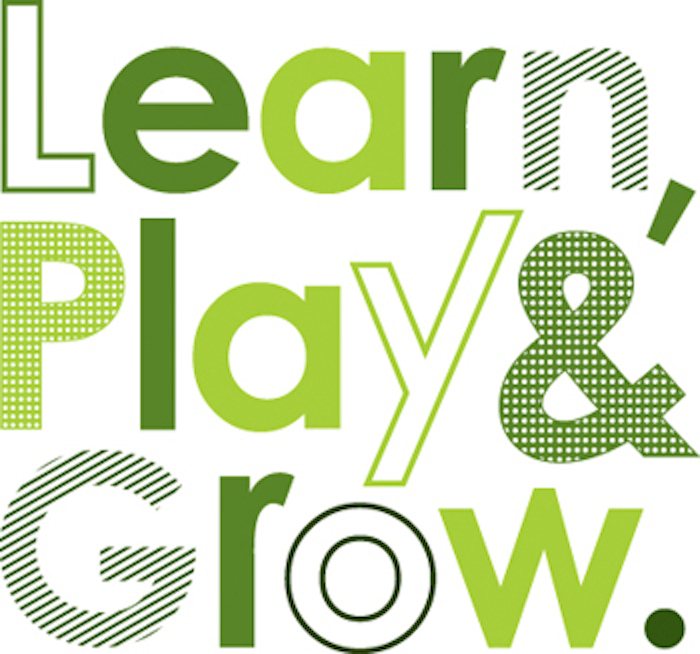 Professional nannies introduce learning activities that are play based and provide best care practices at work. It’s about becoming the best version of yourself at work, being proud and making the most of your job! Top tip for running a small business? Coffee! Exercise too and mini breaks away. You need to change the scenery. Avoid being stagnant when you start going around in circles. (Oh yes I can agree to this!) Your attitude can change when you’re feeling stale and it reflects in your phone and email manner as well as general work performance. Most importantly, know your market and industry. Don’t isolate yourself from the bigger issues and the bigger picture. It can take the weight off your shoulders. 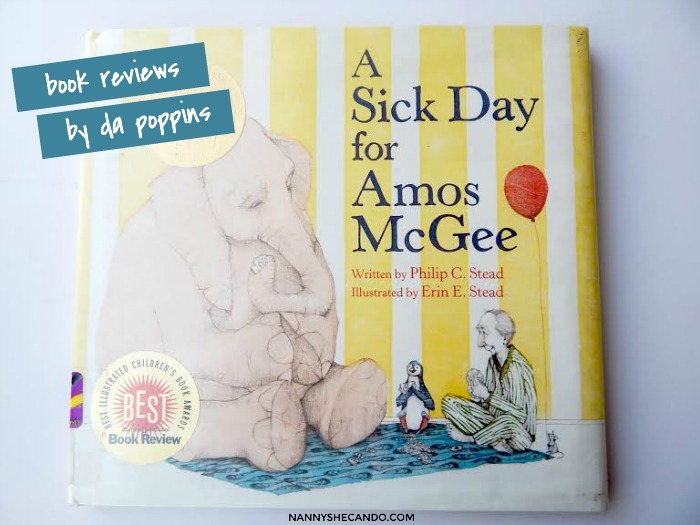 What’s your take on the Australian nanny industry + community? I’m really feeling the growth from the Australian nanny community of late. Associations like the ANA and industry forums are really helping to put a voice to the sector, and of course the nanny industry has really been in the spotlight lately. 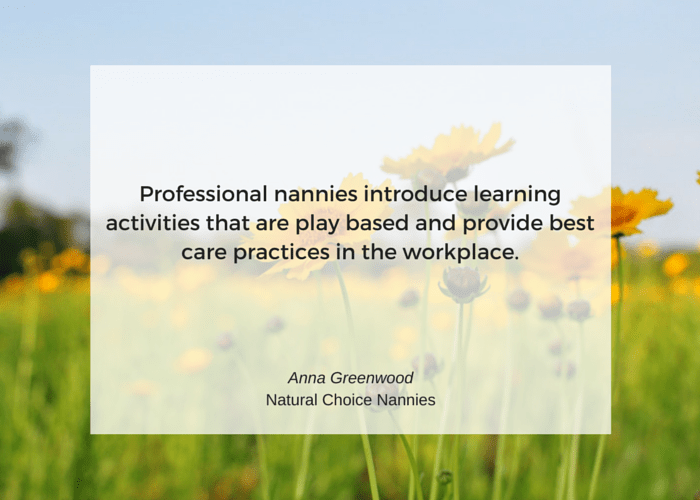 I even had a parent just recently offer to write a letter on behalf of Natural Choice Nannies to be published by the ANA highlighting why they needed a nanny rebate. The fact is we love what we do and that in itself creates change. To see nannies recognise themselves as professionals. Gone are the unqualified and inexperienced babysitting days. Our job is so important looking after children, so I believe an hourly rate should reflect this. I believe it is also our role as an agency to help train and evaluate nannies on the job. With more funding this is possible. I would like to see families that need a nanny, benefit with government assistance in the future to help support their household productivity. Does the Cert III as it stands present a viable program for nannies? The Cert III in children’s services is a good introduction to childcare in general, but not completely specific to nannies. 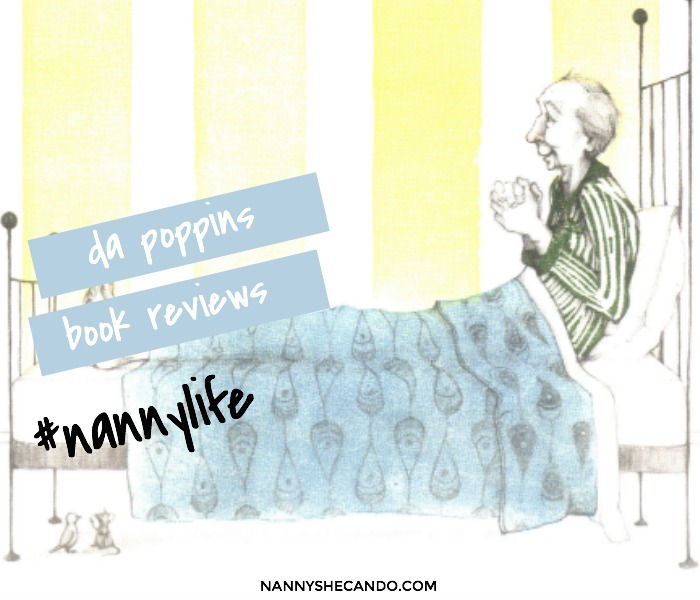 Nannies need topics that apply to working within a home environment and taking excursions. Nannies are self motivated and set up activities based on their own resources. Often feedback is not available as you are working on your own. Things like starting a nanny reflection diary or having a conversation with a ‘nanny group,’ your parent or agent is healthy practice, and this should be included as a specific unit for nannies. Doing yoga, or swimming. Being pregnant means I haven’t been out much in the heat of the day. I like going to the botanical gardens where it’s shady or driving up to Kuranda to look at the water falls or do a rain forest walk. I’ve done a lot of work in northern beaches area of Cairns, I love the parks, where it’s shady and we can set out a picnic mat. Sometimes I pack a bag of toys or lunch. It’s great to let kids out of the home environment now and again and be with nature. It’s also fun exploring playgrounds together and helping practice their gross motor skills. We get to some cafes occasionally especially on the beach side, where we can sit out and enjoy the view. When am working in town however, the Esplanade is probably the best spot, then the botanical gardens. I think looking after a child in the centre of town is a great to take children out, as there is a lot going on. Favourite shop for tools of the trade? Recycling, comes first! Cardboard boxes, gift wrap, and fabric for example. Rotate and create new toy displays and games, so children don’t get bored of their toys so soon. Then I love Enviromart in the industrial area of town, for inspiration on Eco ideas and Earth toys in the town centre, for earth friendly toys. I try to buy Australian brands and shop at local craft shops where possible. Imagination is my most handy tool. I think imaginary play is amazing as you can create the most fun adventures! 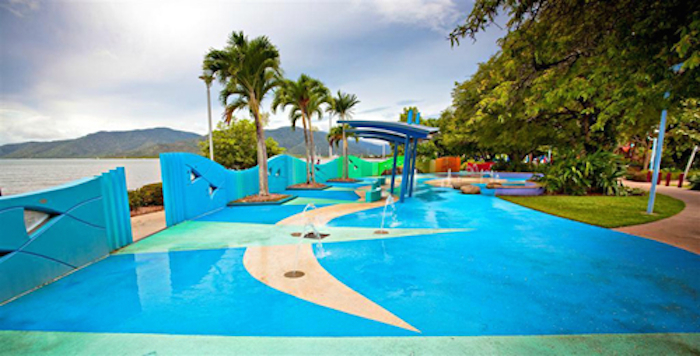 Recommendations for children + families visiting Cairns? 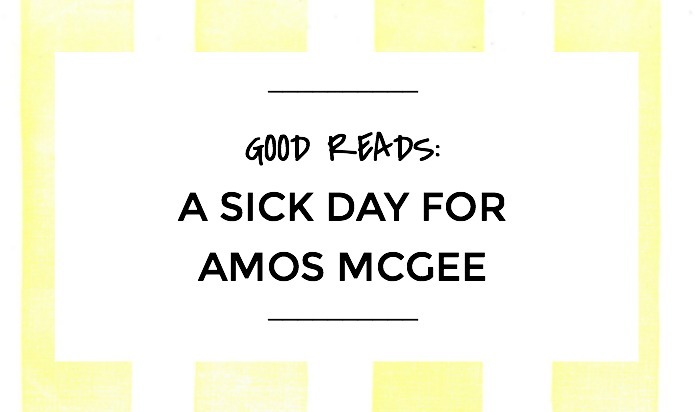 I would recommend that you bring some mozzie repellent, hat, sunscreen and water every where you go. Light but protective clothing and be ready to spend most of your time by a pool or in air-conditioned buildings in summer. Winter is a different story and much easier to get out and about. Most tour operators will let you know their child policies so you can organise various tours in and out of Cairns. And of course don’t forget to call us to babysit at the hotel, when you go out for dinner! Advice for a new to the industry nanny? School holidays are a fun time for nannies and their kids. 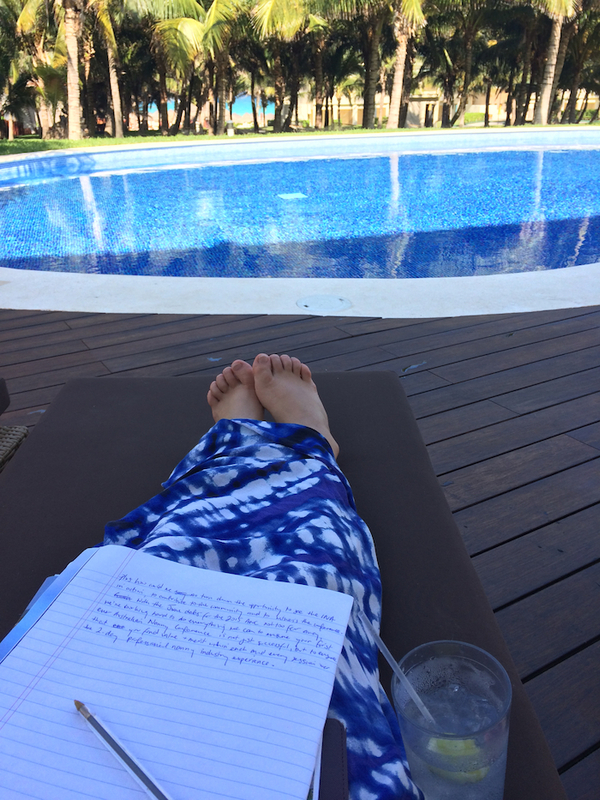 For me, the concept of not having a hard daily schedule locked in pretty much screams freedom. You’re telling me we could spend all day at the zoo and not have to fight traffic to get across town for 3pm? Yes! For the kids, school holidays are just like, the best time ever. Between day trips, playdates, sleepovers, cubby houses, activity camps, baking and brightly coloured crafts, the possibilities are endless! Combine school holidays with a seasonal event like Easter and it’s a sugar-hyped feast of scavenger hunts, brightly coloured crafts and chocolatey goodies. The possible downside is that often school holidays mean that with all the kids under the one roof, grocery lists are doubled and shopping trips are lengthy. If your kids are anything like mine, the only time I can convince them that running errands is a good idea is if they’re allowed to purchase a new beanie boo with their pocket money or if a grocery store scavenger hunt is created. So if you’re hauling kids around the shops these Easter school holidays, pop into a Toys “R” Us as a special treat for the kids. Now I know Easter is kind of all wrapped up and done for the year (or should that be unwrapped), but there’s still a fun Easter egg scavenger hunt happening for the kids. Looking for some entertainment these school holidays? Toys “R” Us have got you sorted. 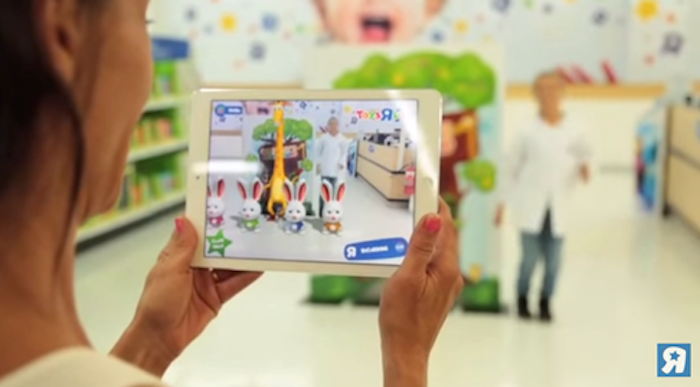 The Toys “R” Us TRUMagic Easter Hunt is a game available free on the app store. The campaign is designed to bring some modern day magic into Easter using the latest cutting edge technology. 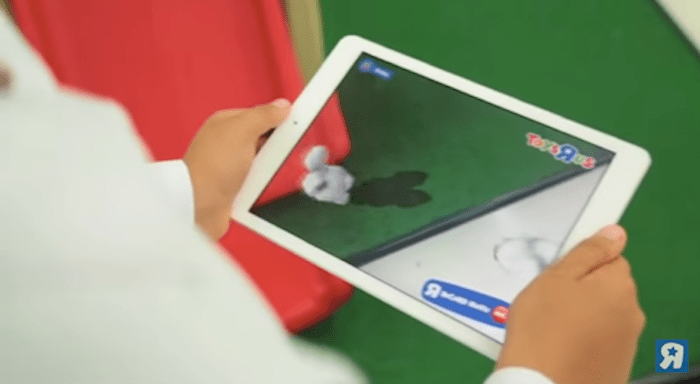 The game allows the player to interact with Toys “R” Us mascot Geoffrey the Giraffe and his Easter bunny friends, leading them on a virtual adventure through Toys “R” Us stores to find Geoffrey’s Playground and receive a free Easter treat. 1. Download the free Toys “R” TRUMagic app from the Apple Store or the Google Play store and activate it. 2. Head to your local Toys “R” Us store, open the app and hunt for one of the Easter eggs hidden around the store. Once you find it, point your device at it to meet your new Easter friends. 3. Follow the bunny paw prints all the way to Geoffrey’s playground. 4. Watch Geoffrey and the bunnies as they do a surprise welcome at the playground. You can even record yourself joining in! 5. Claim your free treat from the nearby Toys “R” Us team member at Geoffrey’s Playground. Enjoy the school holidays kiddies! NANNY SHECANDO is suggesting this game as a fun, and special once off treat for your kids to enjoy these school holidays on the premise of being hauled around the shops participating in the standard professional nanny role “errands”. Errant or impulsive spending is not endorsed by NANNY SHECANDO nor does the editor condone bribing your charges with games and treats. As always, the use of iPads and other technology is recommended in small amounts and with constant adult supervision. NANNY SHECANDO has not endorsed the social media sharing features available within the game, and wishes to express that the use of social media by children should be closely monitored.